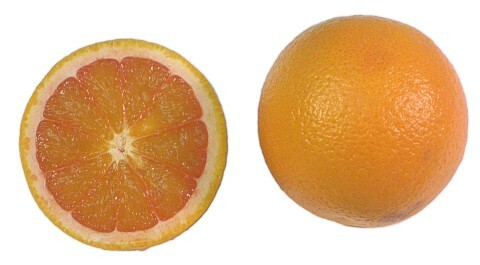 General Information: This orange comes via the North African continent near the Mediterranean Sea. The Mango orange is a sub-acid orange, high in Vitamin C with a very delicate and sweet flavor that reminds one of mangos, hence the name. It has a soft pink ring around the outside of the flesh that makes it very appealing to the eye. A delicious and unusual handfruit or garnish.